The thought of never being able to retire was quite a laughable concept when I was growing up. It was generally accepted that adults worked until they were around 60 to 65 years old and if you were really fortunate or worked really hard, then you might even be able to retire at 50 or dare I say it, 40. According to recent research from financial firm Lending Works, however, it seems that more and more of us Brits are becoming resigned to the thought of never being able to retire at all! An online survey which they conducted in conjunction with YouGov revealed that 22% of Brits now feel that they’ll never be able to retire. The findings of the survey have been placed into a useful and easy to understand infographic on the Lending Works website which you can take a few moments to look at, but we’ll also summarise the findings below. This may seem like an obvious statement but the simple reason why many of us might never be able to retire is because we simply aren’t saving enough to make it possible. With the cost of living on the rise and the age of access to a state pension also being slowly pushed ever higher, never has it been more important for us to be putting a little (or a lot) extra away each month to help us maintain a decent standard of living during retirement, or, to make retirement a reasonable possibility at all. The study showed that around 34% of non-retired adults aren’t saving anything at all for retirement and of those polled, women were saving even less than men and part-time workers much less than full-time workers. I guess this makes sense when you think about it, as most part-time workers will be earning less money and, therefore, will likely have less cash available to put into savings. There is also a lot more worry about the ability to retire from those who are 35 and over. The research again shows that while those in the 18-24 and 25-34 age brackets are less worried, the concern about the thought of never being able to retire jumps considerably after this point. This may simply be down to the nativity of youth in believing that retirement age will never come, or, perhaps the young are becoming more financially savvy and putting arrangements in place to more adequately plan for retirement. 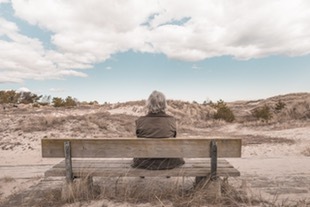 Whatever the case, it appears that there is a lot of concern among those who are 35 and over as to the thought of whether they will ever be able to retire at all. Here we’ve looked at just a couple of the findings from the research and I would definitely recommend taking a few moments to check out the rest. You never know, it may just give you the inspiration you need to start putting measures in place to ensure that you are able to kick back and relax during your old age, rather than finding that you have to stack shelves in a supermarket or garden centre to the very end, just to be able to make ends meet. Are you worried that you might never be able to retire? Where Are the Cheapest Places to Retire to? At what age should you be allowed to retire? With the explosion of companies focusing on longevity, can you afford to retire? One Response to Will You Ever Be Able to Retire? Yeah, I always hoped to retire in my mid-to-late 50’s but now that’s a total joke. I think the biggest thing that I’ve seen in comparison to past generations of workers is that most workers don’t have a defined pension plan. Looking at what I have today and translating that into future income, I have nowhere near enough. But if I had a pension on top of it, I’d probably be able to get near my original goals.